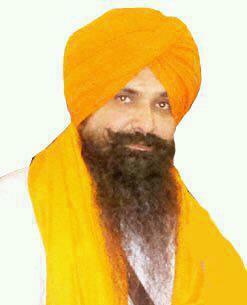 The Latest News revealed about Bhai Balwant Singh Rajoana is that he is going to be Hanged up on 31st, March 2012. Bhai Balwant Singh Rajoana was a police officer and acts as a gunman for chief minister Beant singh. Bhai Balwant Singh was in Patiala Central Jail Since November 2010. Bhai Rajoana was arrested in August 1995 Because Rajoana was the back-up bomber in the bomb blast that killed Beant singh. Rajoana killed Beant singh because he was responsible for great genocide of sikhs and also was responsible for giving police officers a free reign to run operations that targeted the civilian population of punjab. Currently , Bhai Rajoana is in patiala jail is serving the sentence for the execution of Beant singh outside the punjab secretariat in 1995. Rajoana accepted it instead of showing any faith in the corrupt Indian justice system. In his will , Rojoana express no desire to live any more. He expressed that he wishes to have sight of Shri Harmandir Sahib. He writes that it is my wish that , my eyes may kindly be given to Hazuri Ragi of Darbar Sahib and if it is not possible in any case then my eyes can be denoted to any needy person. Bhai Balwant Singh Rojoana is truly a great sikh. I hope the decision gets changed about his hanging. India actuallly needs such people.